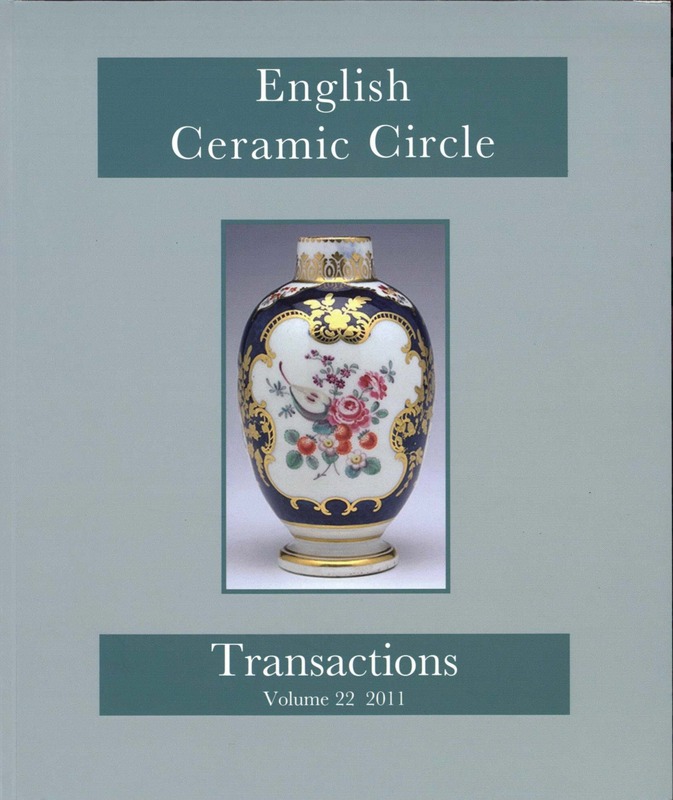 English Ceramic Circle and the authors respectively own the copyright to ECC Transactions and the individual papers therein. Transactions or papers downloaded on this website are for personal use and may not be reproduced, distributed or sold by third parties. Welcome! If you are not registered on this site a good option is to join the English Ceramic Circle for continuing access to this site for a one-off £1 charge. If you would prefer not to join ECC then first register on the site using the link above then click My Subscriptions below to buy a subscription to access the Archive without being an ECC member. The English Ceramic Circle (ECC) is a UK registered Charity (no. 1097063), dedicated to widening public knowledge of British ceramics and enamels. This website contains digitised versions of our journal, the Transactions of the English Ceramic Circle, first published in 1928. It contains more than 650 individual papers - extensive peer reviewed research by recognized experts in the field of antique British ceramics. Access to the website is gained by first registering with the site then buying a subscription. Before you register you can try a search using the search field on the right of the page to see what content there is on a subject that interests you. To register click on the menu item at the top of the page. You only need to fill out mandatory fields (enter ECC under "Affiliation"). After registration, from Subscriptions in the right hand menu, click on Learn More to be taken to the page where you can buy a subscription. Full members of the English Ceramic Circle pay a nominal £1.00 charge to access this website and public access is available for non members by purchasing a subscription for one month (£15.00), six months (£30.00), or one year (£50.00). These charges are designed to assist the English Ceramic Circle to maintain its web based publishing services. Becoming a full member of ECC also provides full individual access to the online service and costs £45.00 per annum or £39.00 by UK standing order. See the "Join the ECC" link on the right hand side of this page or find out more about the ECC by visiting our sister site www.englishceramiccircle.org.uk by clicking the "ECC Homepage" link. Full members receive hard copies of our annual Transactions and may participate in a number of meetings and special events. Viewing on a tablet or phone? Some of our PDF files are large and may take a while to load. If articles viewed do not display properly we recommend downloading the PDF file. A link to do this appears above the article.